Time for a sneak peek at some of the artwork from our December 2016 books, with three plates coming from our December series books. 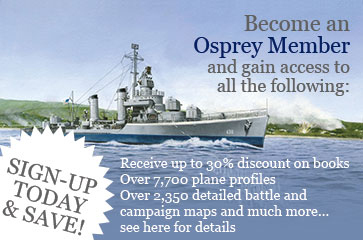 Our first plate comes from New Vanguard 241: Austro-Hungarian Cruisers and Destroyers 1914-18. 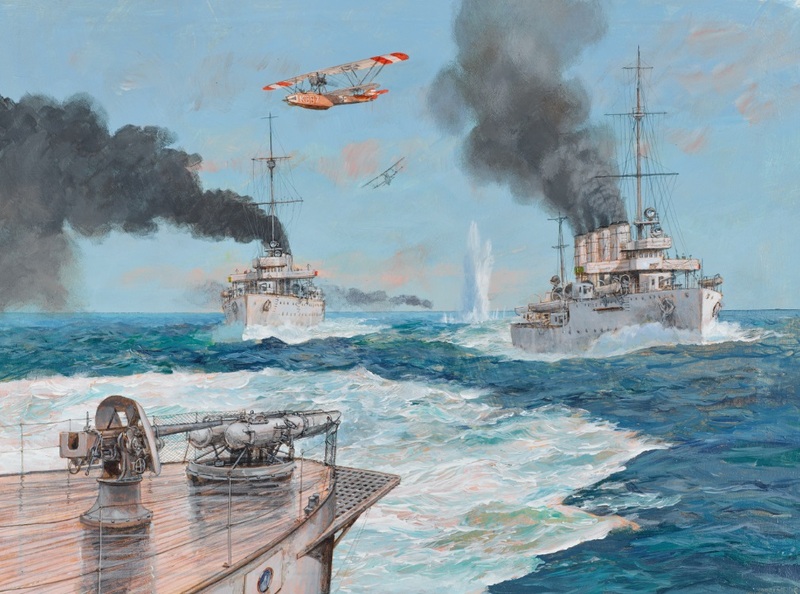 Painted by Paul Wright, it depicts the Battle of the Otranto Straits, May 15, 1917. Our second plate, from Gerry and Sam Embleton, shows examples of soldiers from the New Legion; Algeria, 1840-52. 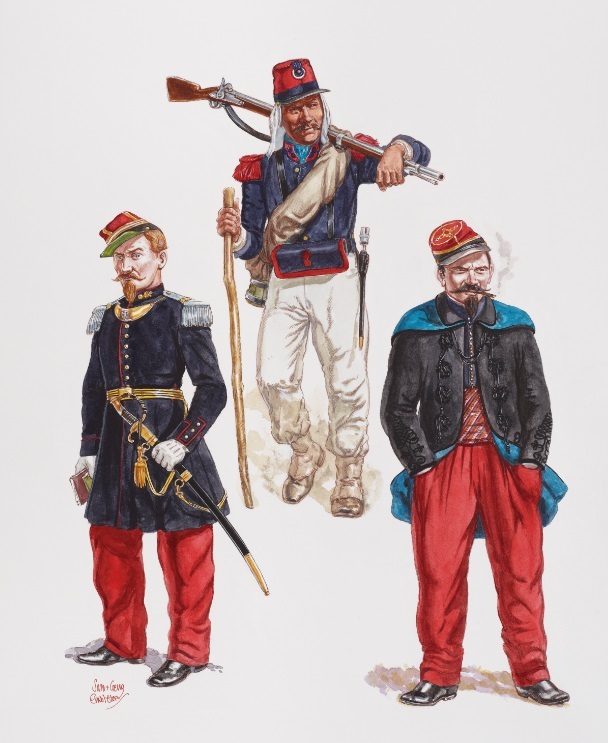 From left to right we have a Capitaine adjudant-major, a Grenadier and a Lieutenant. Our final plate for this month's reveal comes from Leigh Neville's Elite 211: The SAS 1983-2014. 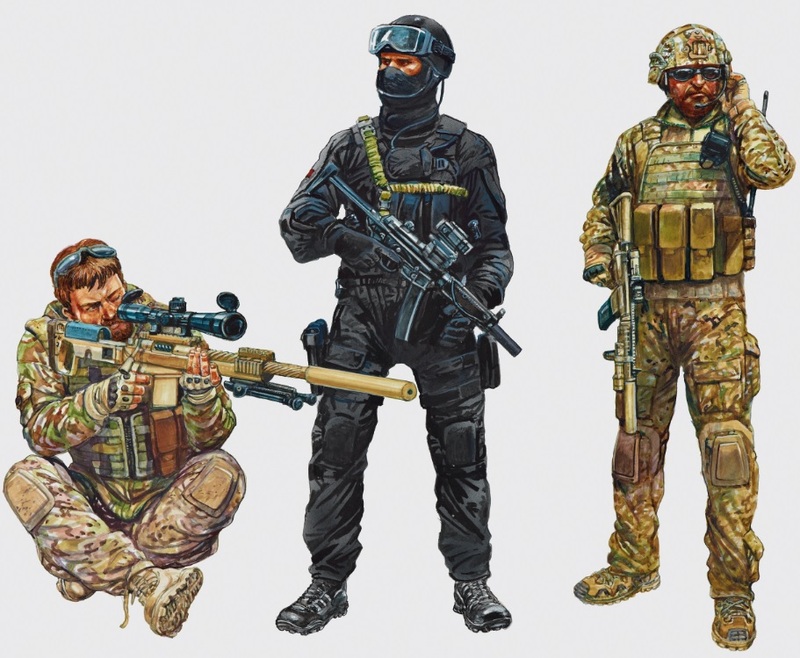 Painted by Peter Dennis, it shows, from left to right, a Sniper from 22 SAS; Afghanistan, 2010, an operator from the Special Projects Team, 22 SAS; Hereford, 2008 and an operator from the Combined Joint Special Operations Task Force; Northern Iraq, 2014. The SAS 1983-2014 looks impressive, I cannot praise Peter Dennis high enough for his intricate attention to detail with regards to the present day camouflage uniforms.